Smoked fish is what South Africa is eating for dinner! Smoked fish is what South Africa is eating for dinner. Don’t worry, smoking fish at home may sound scary, but it's no more complicated than grilling. 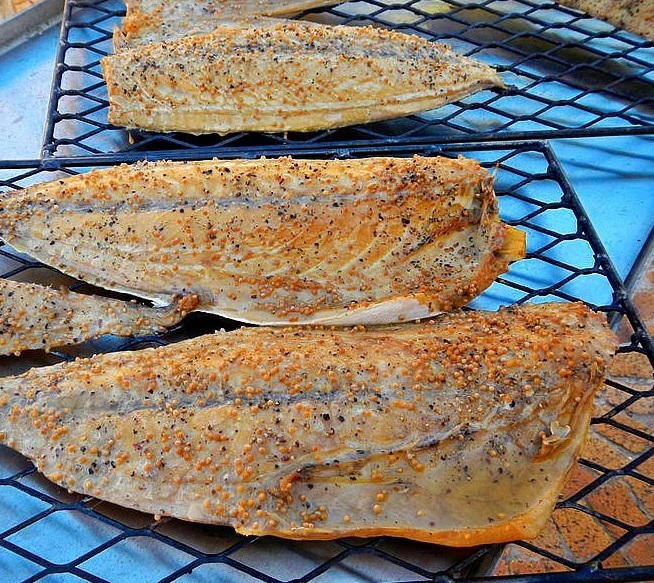 Almost any fish can be smoked, fatty fish, such as snoek and salmon are brined and smoked easily. In a large shallow dish add water, brown sugar and salt; stir until salt and sugar dissolve. Add fish, place covered in the refrigerator for at least two hours. Add all ingredients together mixing well. Remove fish from the brine and coat with spice mixture. Coat fish in the rub mixture and place in the refrigerator for 20 minutes. Just add aromatic wood to a charcoal grill such oak but remember but too much smoke can make fish bitter. Place 2 tablespoons of wood shavings such as oak or in the prepared braai (grill), smoke over hot coals for 20 minutes or the fish is heated all the way through to at least 160 degrees F. Use a standard meat thermometer to monitor internal temperature by inserting the thermometer into the thickest part of the fish.